On Day One of the founding of the Company, the Vision was and still is, to deliver on the original promises of OLED for the General Lighting Market. Today under the Platform banner of “Nevis” that Vision is materialising before our very eyes. 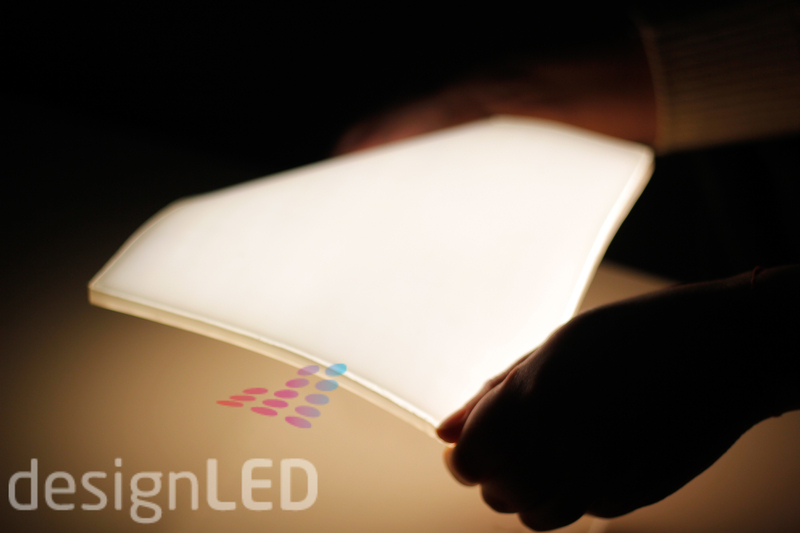 Super-thin, Scalable, Flexible and beautifully Uniform backlighting. But also, reliable, efficient and cost-effective as it is based on standard LED’s. A game changing solution allowing designers to easily backlight decorative materials, ideal for creating visually impressive, beautifully lit surfaces. Our Nevis light tile technology can be easily ‘fused’ with materials of any size and shape, even 3D curved features are possible, while still bringing uniform and bright illumination. Lightweight and easy to scale installation is incredibly simple. And no need to “mind the gap” as you probably won’t need one! Nevis is an entirely customisable platform and we look forward to seeing the many stunning applications it can now deliver on.